The company was born in 1986 thanks to the joining of men with more than 30 years of experience in this field. In Italclean all the people and products plays a key role, in order to satisfy each customer''s desires, this is why laundry and dry cleaning operators with certain specific requirements for their work and great plans for their future trust only in Italclean. With the awareness to belong to an affordable and solid team made of specialists. Ital clean has the soul of the most important specialists team, which grows day by day together with its customers. 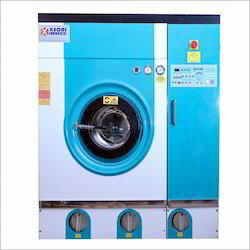 This dry cleaning machine or dry cleaning equipment is used by various prestigious hotels and laundry establishments across India. Gangasheel Institute of Cardic, Cancer & Advance Medical Science (Bareilly)U.P. Two or three automatic self cleaning tanks of high capacity. Nylon self cleaning filter or cartridge with active carbons. Basket, distillator, air channel, button trap, filters housing, water separator in stainless steel. Danfoss valves for saving water, steel float switch level control (overfill prevented). Water level control in still over the heating elementally stainless steel. Thermal overload relays on all motors. Closed circuit with cope land scroll refrigerator (the most silent and efficient on the market). Double lint filter with huge surface and possible automatic self cleaning. Distillator condenser in fibre glass.